Haringey Racers’ owner Dave Richards has blasted the EIHA for allowing what he describes as a “coup” that has forced his club out of NIHL2 South. The EIHA confirmed on June 1st that following a lengthy consultation process the operation of hockey in the borough would pass to a new group. Final discussions were continuing on the matter, but subject to the signing of an ice time contract the League Management Committee said that the Haringey Huskies would be offered a place in NIHL2 for the 2017/18 season. Richards says the announcement has come as a major shock and he believes his club has effectively been “stolen” from him. “I recently appointed a new team manager for the upcoming season, Lou Scott, who attended the meeting on May 7th on my behalf,” said Richards. 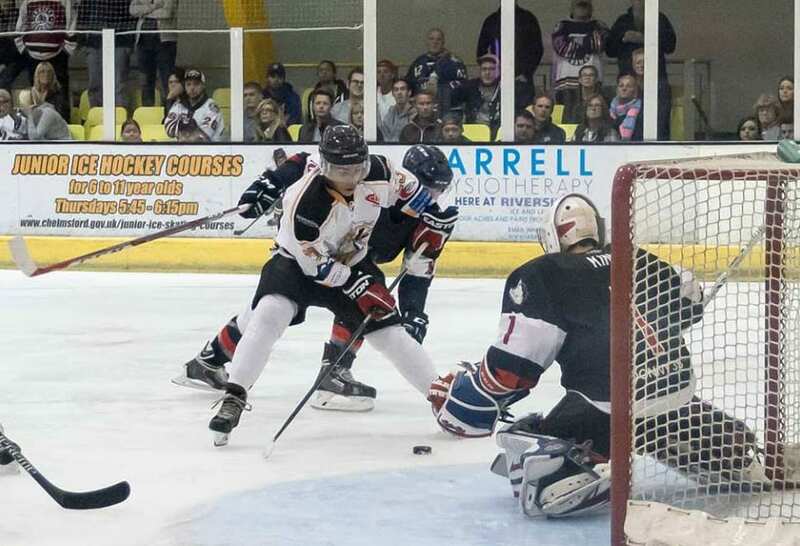 Richards circulated an email to the EIHA and NIHL South clubs on May 15th saying the vote should be declared null and void as he and they had been “duped” by Scott. He accuses Scott of operating covertly on behalf of Racers player Lee Mercer who has since been revealed as the owner of the Huskies. BIH has seen correspondence from a representative of another team at the meeting who says Scott introduced herself as representing the Racers and “that’s why no alarm bells rang”. Attempts have been made to contact Scott for her views but without success, while the EIHA’s Richard Carpenter declined to comment other than to say he “stood by” the LMC’s June 1st statement. BIH spoke to Mercer who said the matter was being placed in the hands of his legal advisers and he was unable to comment any further. Richards insists the fact that the Racers are still operational and that no vote had taken place for the Huskies to be accepted into the league was a contravention of EIHA rules. The Racers’ owner says Carpenter advised him to contact the Huskies to try to resolve the matter. Richards alleges that Mercer hadn’t paid his club fees and had been told he wouldn’t be allowed to play for the Racers next season. He claims he raised the issue during a phone call from Mercer on May 15th, but was told by the player that he could not afford it despite previously saying he would clear the debt. Richards says Mercer told him that he had discussed the Racers’ financial situation with the EIHA ahead of the meeting, but that no-one from the governing body had spoken to him regarding any such issues. 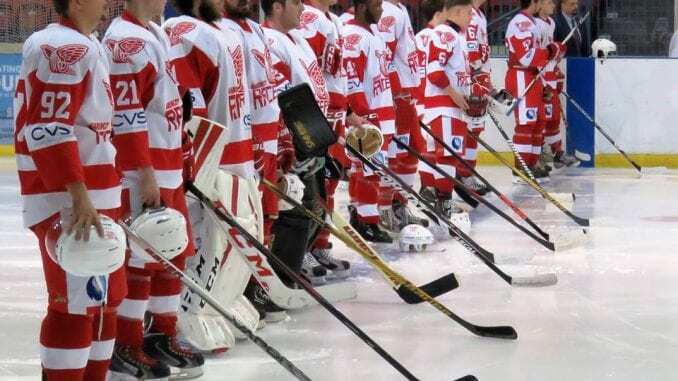 He admitted to BIH that the Racers did owe money to Alexandra Palace for ice time, but that he had an agreement with the rink to settle the outstanding debt by June 11th. Richards provided evidence to BIH of the agreement he made with the rink’s Leisure Facilities Manager, Jeremy Walton, which also said that they were “keen to keep senior hockey going here at AP in some form”. BIH spoke to Walton on June 13th who confirmed that a “significant amount of money was still owed” by the Racers – a fact not denied by Richards. “We had an agreement in place with the rink and fully intended to honour this,” said Richards. “We sent a representative to the league meeting in good faith, but it now feels like the Racers have been the victims of a ‘coup’. “Having brought what happened to the attention of the EIHA and the other clubs, I’d have expected that they’d have enforced their own rules to protect one of their own but nothing has been done. “We’ve had equipment go missing which belongs to the Racers and the whole situation just leaves a bad taste. Coup there was no coup,players and staff were told at the begining of march that the club had folded and they were locked out of the rink.The players and coaching staff decided to fulfill the remaining fixtures ‘without any training sessions’ to give the club a dignified end, something Mr Richards was not prepared to do. Same old hockey. People not working together for the greater good of the sport. This sport is a joke. Its such a shame that such an exciting sport is brought into such disruption yet again. Its always the fans of clubs that get hurt the most.